Mary Ann Dunchak, 92, passed away peacefully Saturday, October 20, 2018. She was born May 2, 1926 in Youngstown, a daughter of Andrew and Anna Volk. 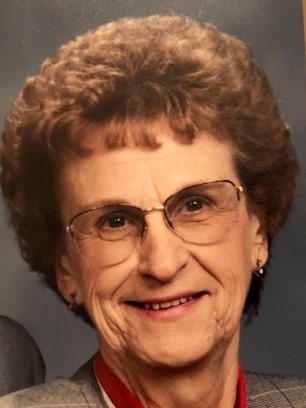 Mary graduated from Poland Seminary High School in 1944 and was employed as a secretary for various companies in the area, retiring in 1992 from Trustmark Insurance. Mary was also a lifetime member of St. John’s Russian Orthodox Church in Campbell, Ohio, and enjoyed participating in preparing baked goods for the holiday bake sales. Mary spent the majority of her life living in the Youngstown area before moving to Pittsburgh, Pennsylvania in 2014. One of her favorite past-times was reading and actually managed to read 1,000 books a year. Keith (Cheryl) Dunchak , and Kristy Dunchak; two great-grandchildren, Rylie and Brooklyn Dunchak; nephews, David and John Michael Dunchak; and niece, Judy Duniho. She was preceded in death by her husband Andrew, whom she married Nov. 9, 1946, her parents Andrew Volk and Anna Roman, and brothers, Andrew Volk, Eli Roman, and John Roman. Funeral services will be Thursday at 11:00AM at the Cunningham-Becker Funeral Home, 270 N. Main St., Poland. Friends and family will be received Wednesday from 4-7PM and Thursday from 10-10:45AM at the funeral home. Contributions may be made to the Vincentian Home, 111 Perrymount Road, Pittsburgh, PA 15237 or Bethany Hospice, 875 Greentree Road, Pittsburgh, PA 15220.